In 1992, against the background of conflict between a militarised guerrilla movement on one hand and paramilitaries linked to government forces on the other, the multinational BP, via a subsidiary BPXC, began to exploit large oil fields in the Casanare region of Colombia. 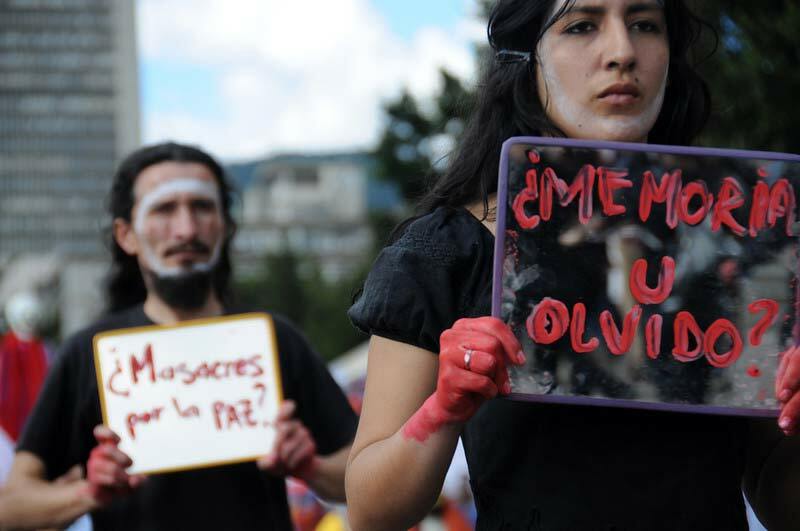 Since the 1990s, approximately 9,000 people have been estimated as murdered and 3,000 disappeared, according to the Colombia Human Rights Data Analysis Group report of 2007. This constitutes 3% of the population of Casanare, which has a total population of 320,000, with a high percentage of indigenous people and Afro-Colombians. During the post-civil war peace and reconciliation process paramilitaries engaged in violence against individuals, communities and organisations have given evidence stating that their activities were financed by oil companies. Some relatives of murdered community members have received low level reparation from the Colombian state through the victims’ law but there is no sense that BP has been held accountable, that the truth has been uncovered, or that there is any genuine remedy. Oil Justice will design a new community-led model to ensure that the victims and survivors of corporate-sponsored violence are able to obtain justice. The development of a new model to ensure justice is crucial at this time. An opportunity has been provided by the 2010 UN “Protect, Respect and Remedy” Framework for Business and Human Rights. A challenge has been delivered by the Kiobel v. Royal Dutch Petroleum Company US Supreme Court decision of 2013. In response to the brutal suppression of peaceful resistance to oil development in the Ogoni Niger River Delta, the court found that the Alien Tort Claims Act does not apply beyond US boundaries. This is in line with the global trend whereby jurisdictions which represent possible avenues for legal redress in the home countries of multinational corporations are closing their doors to those seeking to bring such claims. The UK remains one of the few jurisdictions which have provided a successful route of redress for communities and individuals affected by the actions of multinational corporations headquartered here. The cases to be developed as part of this project will seek redress through civil claims in a UK court. There is an urgent need to investigate cases now before, in some instances, the deadline for issuing them expires. In August 2014, COSPACC organised a workshop for victims from around 20 families whose relatives had been murdered or disappeared, some as recently as April 2014. 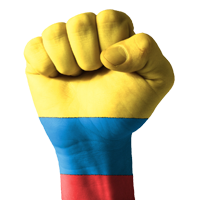 The workshop was attended by DPG and Colombian trade union lawyer, Francisco Ramirez of the National Movement of Victims of Transnationals in Colombia of whom COSPACC is a member. 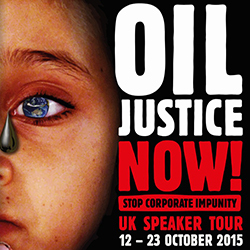 The families were clear that they are still seeking justice and wanted to bring a legal claim against the oil companies in the UK.